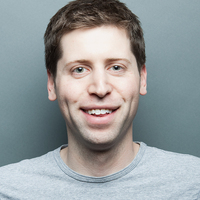 Samuel H. “Sam” Altman is an entrepreneur, programmer, venture capitalist and blogger. He is the President of the world’s premier startup seed accelerator, Y Combinator, and co-chairman of OpenAI (Wikipedia). He has collected a series of impressive lectures that help walk you through the essentials of starting and growing a business. The Y-Combinator also has a tremendous reading list (most of which are quick) and several templates for things like sales documents and equity agreements. It is all open-source and you should take advantage! If the Y-Combinator training is overwhelming, another great service is 100 Steps 2 Startup.